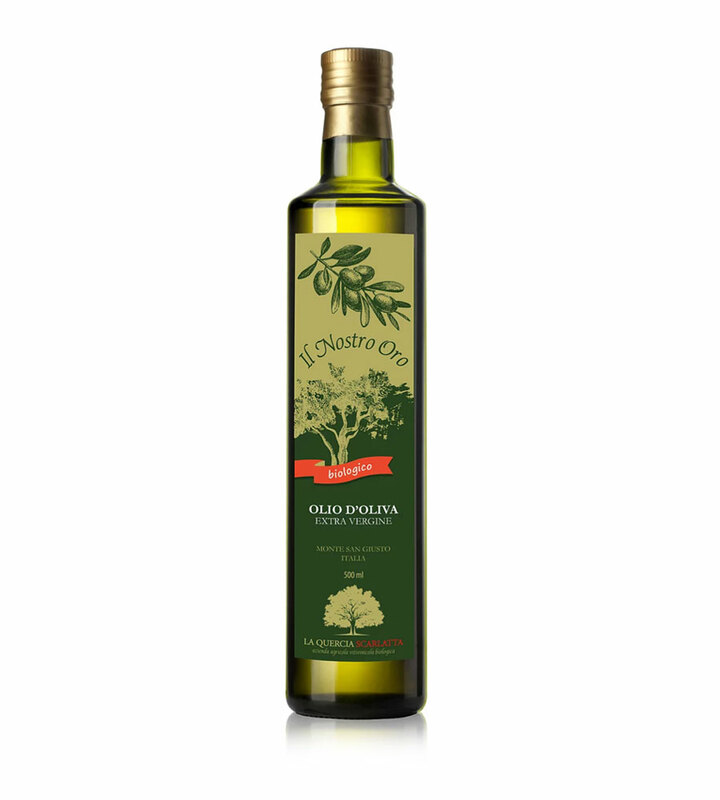 The organic extra-virgin olive oil that we produce, which we call “Il Nostro Oro” (Our Gold), is of the highest quality and value. In the farm we grow about 300 olive trees in organic. They have an age ranging from 2 years to a century and allow us to collect, (when the year is good), approx. 35-40 quintals of olives per year and processed, provide us with approx. 4.0-4.5 quintals of organic extra virgin olive oil. Nomenclature of the olive varieties that make up our bland: the Mogliano piantone, a characteristic and generous plant of these lands, is dominant, we have several plants of Raggia, Orbetana and Coroncina , in addition to other varieties that are however in very small quantities. 4) We grind the olives in our company mill, where we only grind our own olives. 5) We provide a quality certificate thatattests to absolute excellence. In the farm we grow about 300 olive trees in organic. They have an age ranging from 2 years to a century and allow us to collect, (when the year is good), approx. 35-40 quintals of olives per year and processed, provide us with approx. 4.0-4.5 quintals of organic extra virgin olive oil.We collect the olives manually, put them in small boxes, wash them and select them before processing them. We have our own modern oil mill where we only process our freshly harvested organic olives. These particular conditions make the extra virgin olive oil that we produce excellent. Nomenclature of the olive varieties that make up our bland (mix ofvarieties of different olives thatgenerate oil): the Mogliano piantone, a characteristic and generous plant of these lands, is dominant, we have several plants of Raggia, Orbetana and Coroncina , in addition to other varieties that are however in very small quantities.